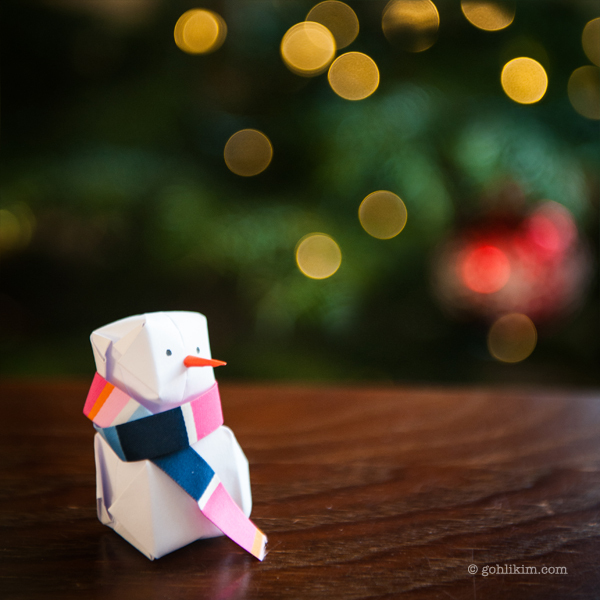 Make a snowman without snow – Paper snowman! 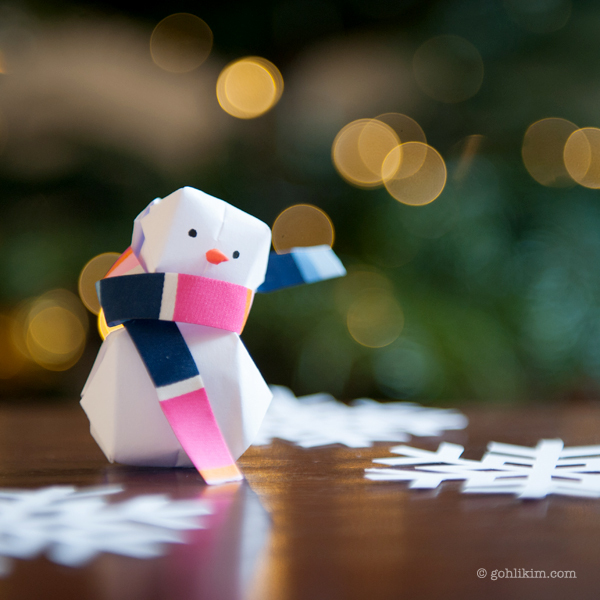 Here’s a fun and quick project to make an indoors paper snowman using 2 inflatable origami water balloon (instruction). I like everything miniature, so i made mine super tiny with 2 pieces of square paper, 3″ x 3″ for the head and 4″ x 4″ for the body. Glue them together and use ribbon to make the scarf. Make a little cone with orange paper for the nose, if you don’t have orange paper, just paint it with color pencil or orange sharpie. I use glue stick to glue the nose. Then draw the eyes.